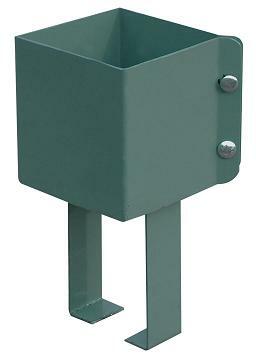 DESCRIPTION: Steel base designed to solidly attach a square post to a fresh concrete. 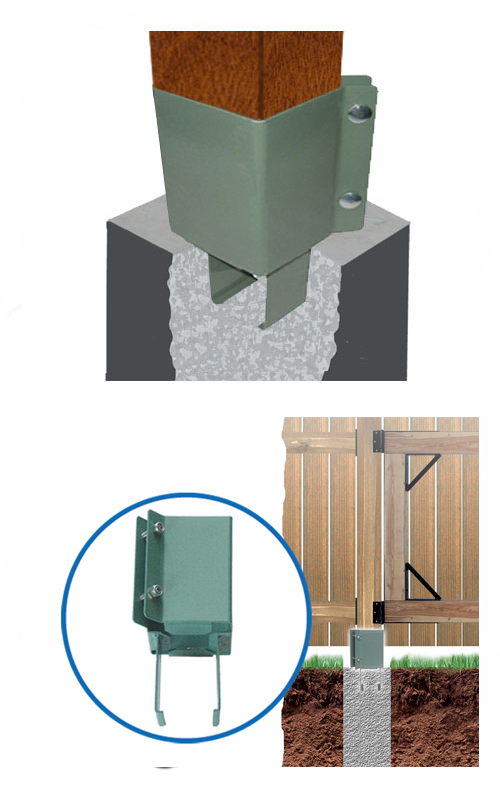 Creates a reliable and efficient solution to support your fence. For stability and style at low cost! Simply put it into concrete to install it. It will solidify with the concrete. Its steel fabrication makes it resistant and solid. No maintenance is required.